Intensive training consists of leg, fist, elbow and knee punches and kicks. 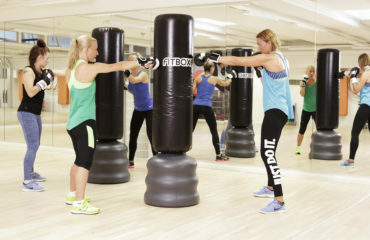 Fitbox includes elements of Thai boxing, kung fu, karate and kickboxing. Exercises are performed to the music using a special water-filled bags, or fitboxes.